It is my pleasure to have author Chicki Brown on Conversations today! 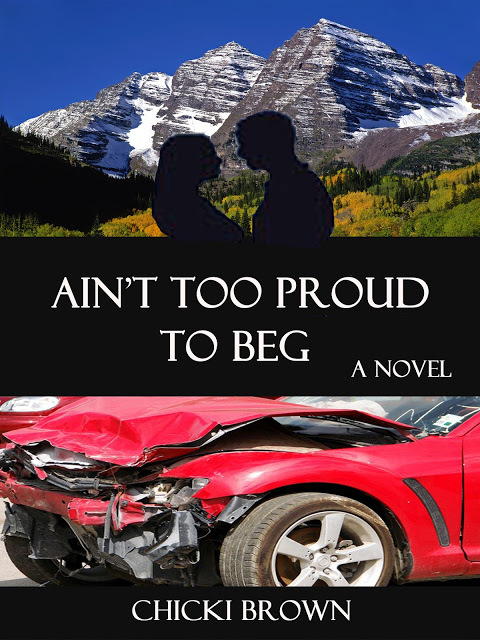 Sit back with a cup of coffee and read an excerpt from her latest book, Ain't too Proud to Beg. Hollywood film star Vaughn Breland has destroyed his beloved Lamborghini, lost his latest movie role, the use of his legs and possibly his fabulous good looks. He’s depressed and mad at the world then he meets Trenyce Clark, his new physical therapist. Trenyce, and her beautiful three-year-old daughter, give him a new outlook on life. “What kind of details?” she asked, sounding suspicious. Ah, that’s all she wanted to know. She’s worried about her job. Apparently the studio hadn’t yet informed the cast of their decision to replace me, and I wasn’t going to be the one to tell her. “Us? Or you?” Silence. “That’s what I thought. I have to go, Reese.” I clicked off my cell and closed my eyes, meditating on what she had just said, but I had no reason to be disappointed in her. From the first day’s read-throughs in the studio conference room, I’d known a hook-up with Reese was inevitable. She’d seemed thrilled to meet me. That’s why I liked young actresses. So many of them were easily impressed and more than willing to do whatever it took to get to the top. Fortunately for me, they were clueless that I couldn’t do jack to get them there. From the beginning I’d known she was only sleeping with me because she assumed it could advance her career. Yet, the fact that she hadn’t shown the slightest bit of personal concern for my situation irked me more than it should have.